Dr. Olabisi Fatimo ADEKOLA is crop production scientist and holds a Bachelor of Science degree (Forest Resources Management) of University of Ibadan, Nigeria, M.Sc. (Crop production) and Ph.D. (Agronomy) of the University of Ilorin, Nigeria. 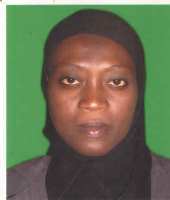 She joined the services of University of Ilorin in June, 1998 as an Assistant Lecturer in the Department of Agronomy. She is involved in Teaching, Research and Community Development. Her research interest is in sustainable crop production, organic agriculture and natural plant growth enhancer with focus on spreading eco-friendly and climate smart agriculture among farmers. She has supervised several Undergraduates projects and Post Graduate Theses and the outcome of these studies (either singly or in collaboration with colleagues) have appeared in over 30 peer reviewed journals. She held several administrative positions: Member of Senate, University of Ilorin, Coordinator, Department of Horticulture (2013-2017), Faculty Representative on University Ethical Review Committee, Faculty Undergraduate Academic Prospectus Review Committee (2014), Member, Editorial Board, Journal of Agricultural and Rural Development, Faculty of Agriculture, University of Ilorin (2011 to date), Member, Board of General Studies Division(2009-2012) and Departmental Post graduate coordinator (2012 - 2016). She had participated in several externally funded projects and trainings including (i) Kwara State Local Team on development of Kwara Agricultural Modernization Master Plan (2012). ii) University of Ilorin Senate Research Grant and NAR’s funded project on Integration of Legume Cover Crop as a Fallow in a Maize Based Cropping System in Ilorin. She is a Fellow of Netherland Fellowship Program (NFP), and Founding Member of the NiWARD, University of Ilorin Chapter.